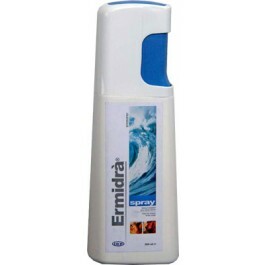 Ermidrà®Rehydrating Spray is for all pets that need skin moisturising. after treatment for dry skin conditions. after treatment of atopic pets. after all types of shampooing, as helps to restore skin condition. Propylene glycol has a moisturising and keratolytic action.